Enjoy gorgeous picture quality across all your media with this versatile TV featuring a handy built-in DVD player. 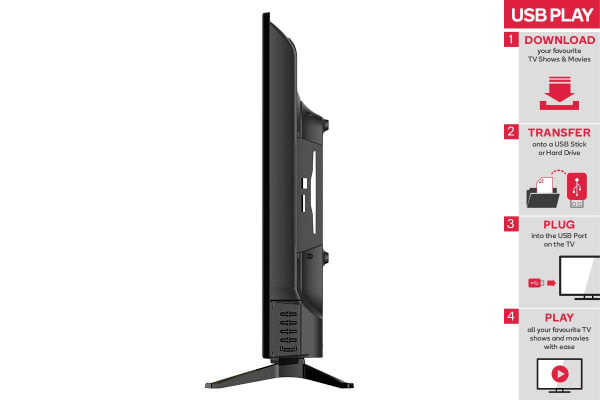 The built-in DVD player makes this TV the obvious choice for bedrooms or playrooms, with a handy Parental Lock function so you can just pop in the kids’ favourite movies and let them watch worry-free. 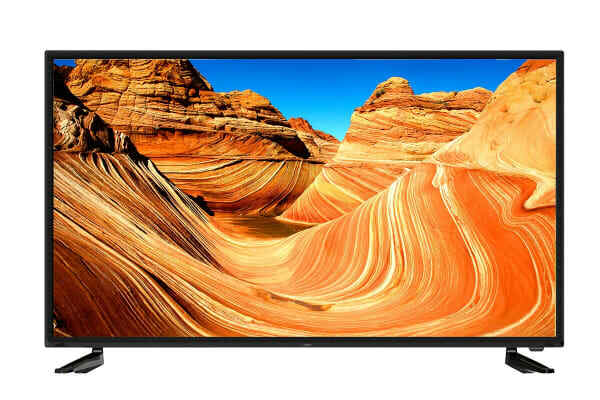 This highly efficient LED TV can help save you money as well as space, with a 6 Star Energy Rating to make sure your energy bills stay as low as possible. Built-in PVR gives you TV when you want it! The built in PVR and Electronic Programme Guide let you pause and rewind live TV as well as record your favourite shows onto USB for playback later. There’s also lots of space for your other media via the generous 3 x HDMI inputs. The USB input allows you to plug in your favourite USB storage device and play your photos, movies, videos and music through the TV, creating an amazing entertainment experience for you and your friends! Take advantage of three HDMI inputs to connect your gaming console, Blu-ray and more, or plug in your laptop through a HDMI cable to stream your downloaded shows straight onto your TV! Built-in to this TV is a region free DVD player, saving you the hassle of having a stand-alone player. Play DVDs from across the globe. Connect a host of peripheral devices to your display using HDMI. 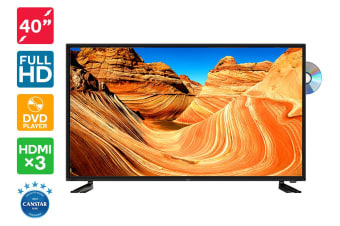 Capable of transmitting both video and audio in Full HD and 7.1 surround sound, never worry about AV cables running everywhere behind your television or computer. Load photos, videos and music onto a USB flash or disk drive and play them back freely. Use the PVR system to record up to 1TB of live, free-to-air TV programs to watch back later. A USB storage device must be connected to enable recording. This energy rating gives a comparative assessment of the model's energy efficiency. The more stars, the more energy efficient. Clear picture with good colour and reasonable sound. It is god to be able to see the print clearly. I am in the process of printing out the manual. It seems to working well.